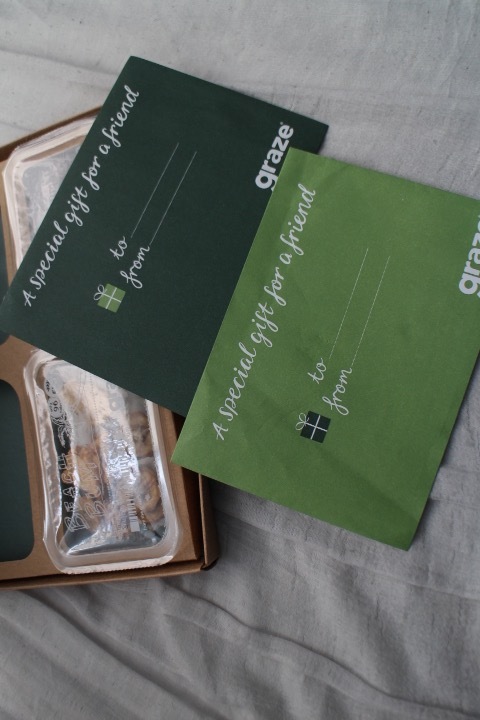 I have heard of Graze a few years ago. 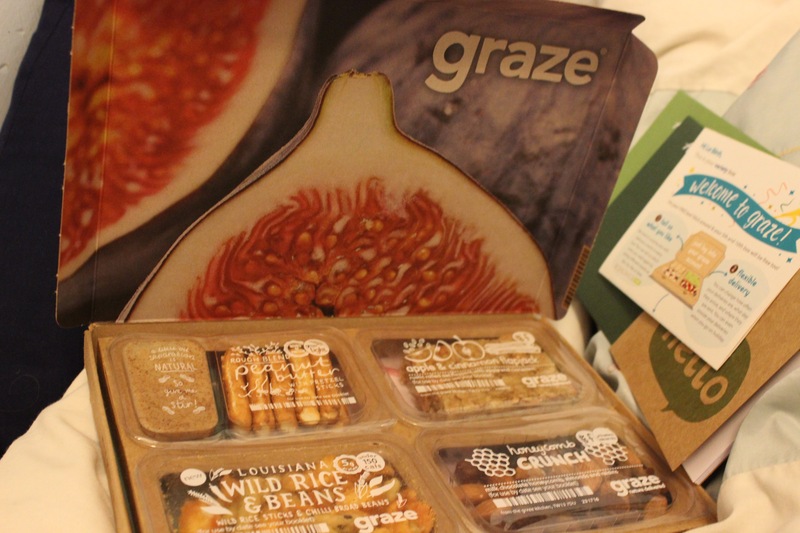 Every parcel from mail orders came with an insert advertising a FREE graze box. At the time, I thought why on earth would I want to pay a food subscription for £4 for a bunch of nuts? 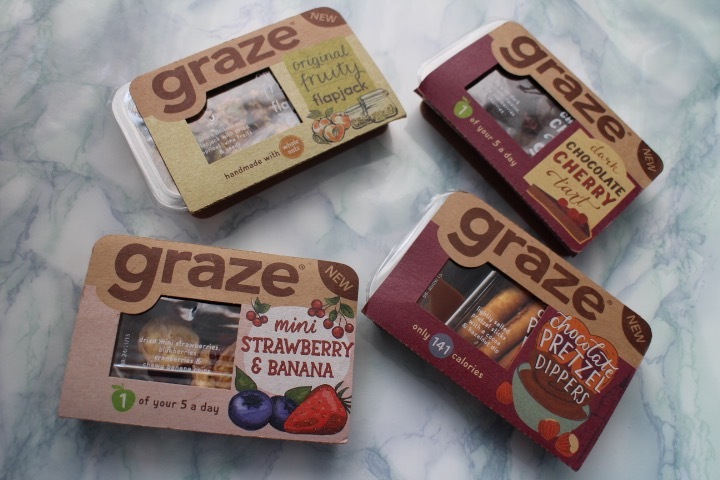 Until sometime last year I received some samples of the Graze to go products £1.20 and notice how different they tasted to dried fruits brought from the supermarket. It is less sweeter and tasty like the actual fruit. 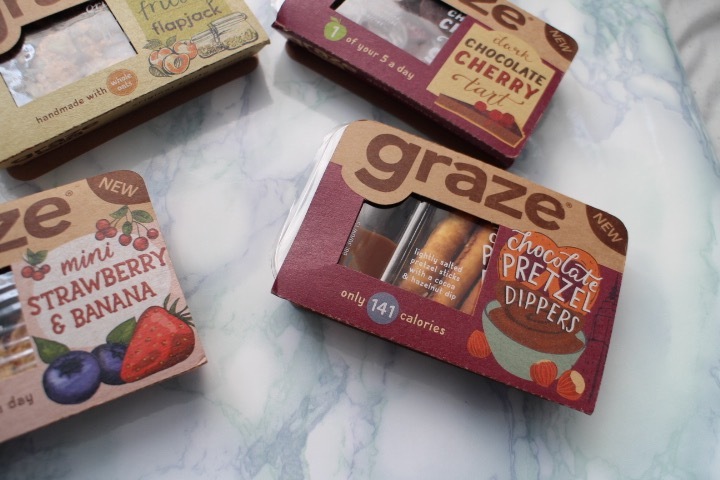 The team at Graze invents tasty combinations to satisfy your buds wherever you need a savory or sweet craving. 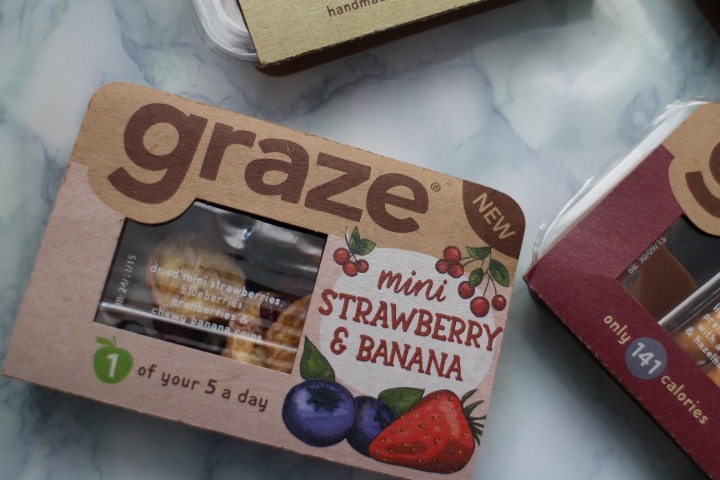 That very first product Graze mini Strawberry and Banana made me subscribe. I love the idea that the box is well portion controlled to stop you from overeating and somehow keeps you fuller for longer than conventional snacks. There are currently over 100 snacks to choose from online. From what came to my doorstep so far, popcorn, brownies, flapjacks, exotic dried fruits, granola, olives and more. You can choose what you like online and how often you would like the snacks delivered and once you got to try what they delivered. 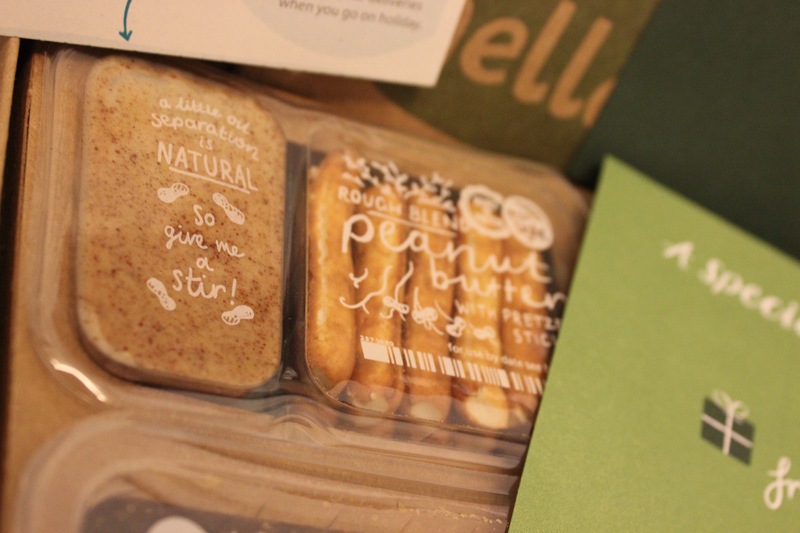 A box that fits through the letterbox gets delivered with four different snacks. Go back online and rate the snacks. 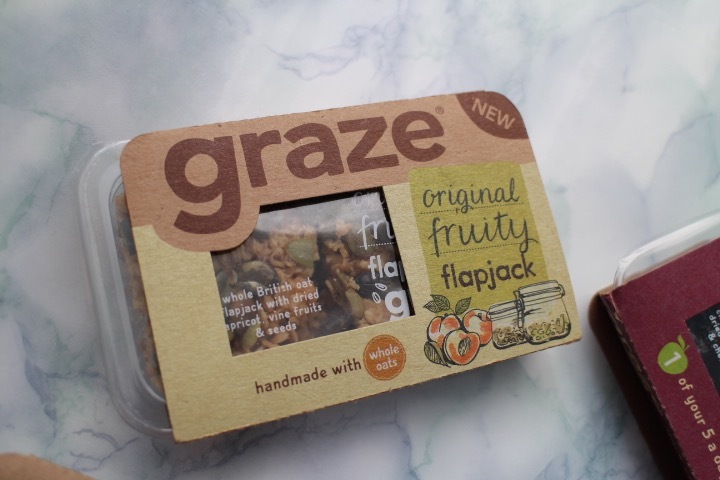 My current favourites are the flapjacks that come with a teabag, dried fruits, granola and yogurt toppers. With the yoghurt toppers, I make my own yoghurt at home either with Easiyo or Hansells then add fruit squirts and Graze snacks. See healthy snacking without getting bored of the flavours, setting you back to only £1 a box. If your new years resolution is to be more healthy. Make a start and swap the bad snacks with something more nutritious. 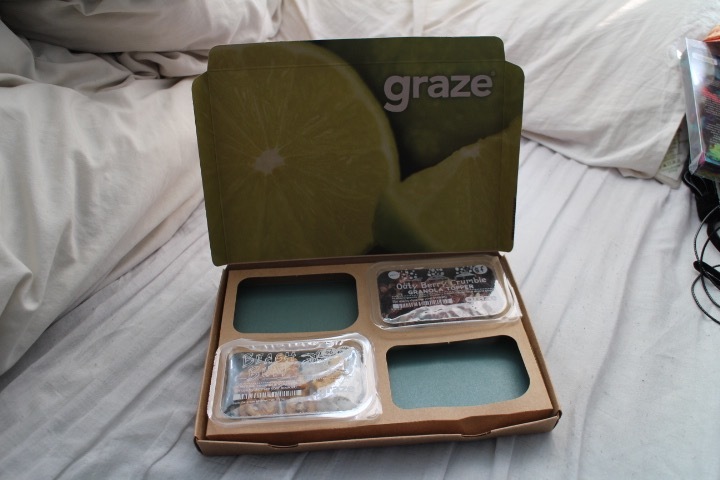 You can even get a FREE graze box on me if you decide to subscribe. Use code LEBINH2HU, or click on the image below.